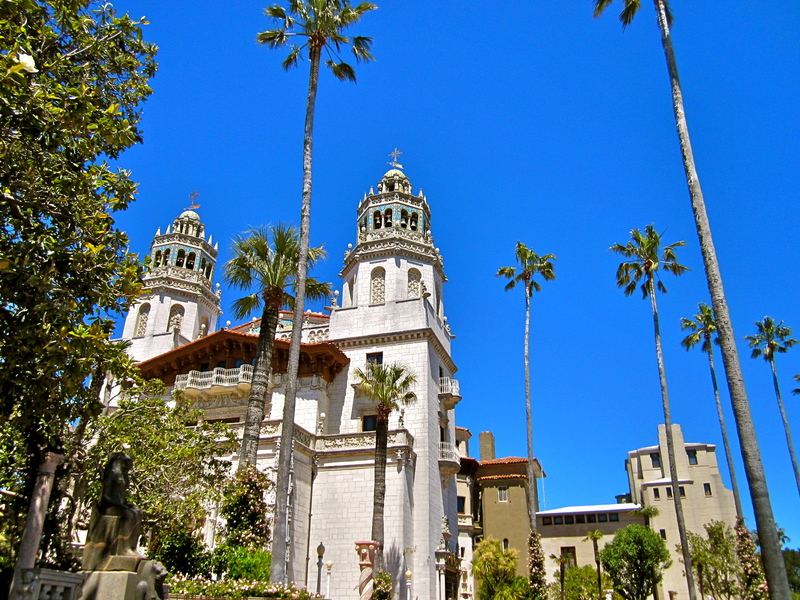 Castles and mansions have always fascinated me, so when I found out we were going to Hearst Castle during my trip to the States in 2010, I was absolutely thrilled! 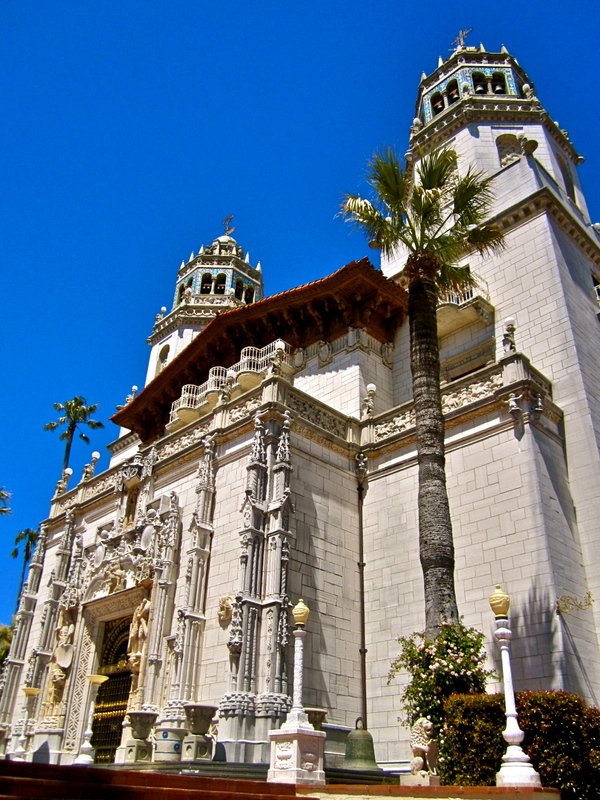 The first time I heard about it was when a friend of mine came home from her trip to the U.S. a few years back and showed me pictures of Hearst Castle, and I knew I had to see it in person one day too. 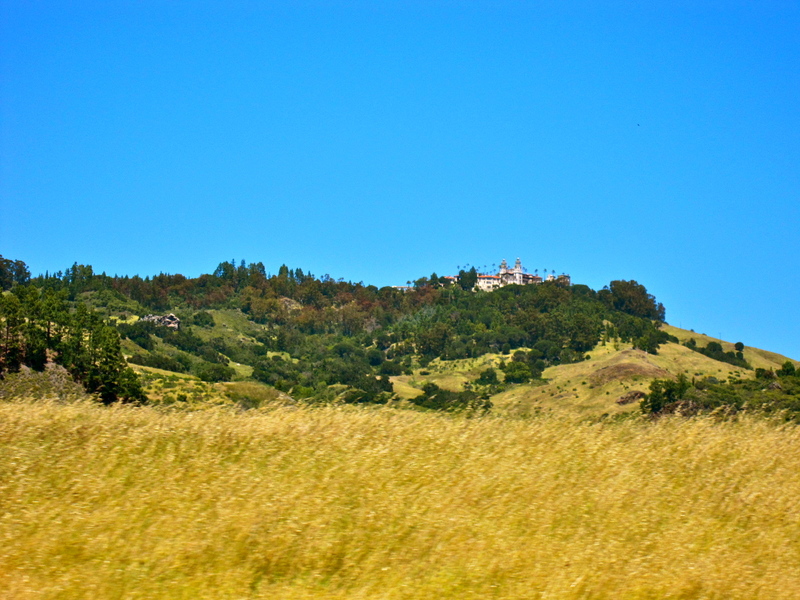 It was a three-hour drive from San Jose to San Simeon, if I remember right. We took a wrong turn and ended up having to take Highway 1, which wasn’t the plan, but we did have such a fantastic view of the coast. 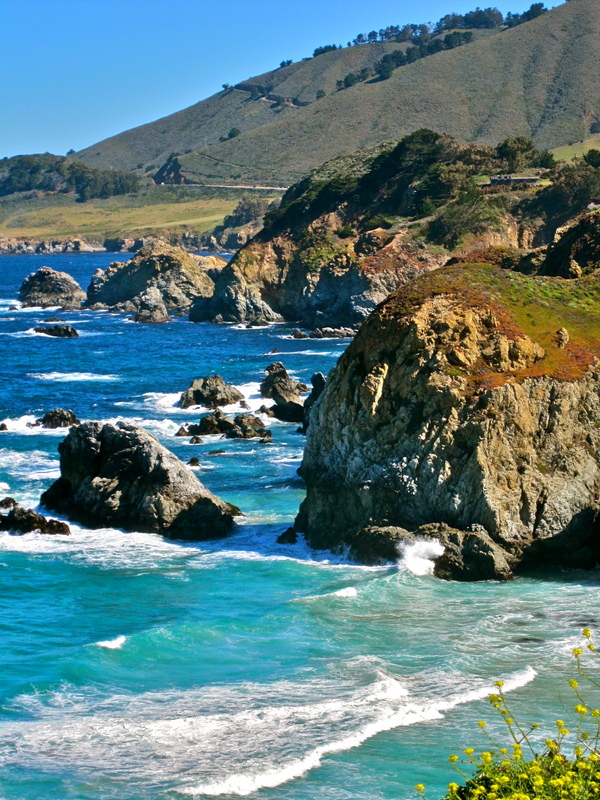 Carmel-by-the-Sea was my favorite stop on the drive. 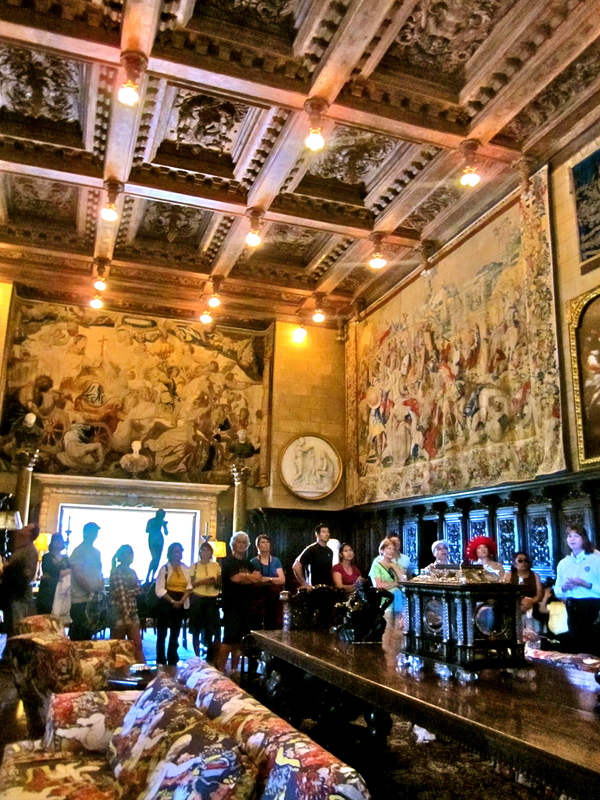 As we arrived into the estate and after attending the briefing at the visitor’s center, we rode the coach and got glimpse of the magnificence that is the Hearst Castle. 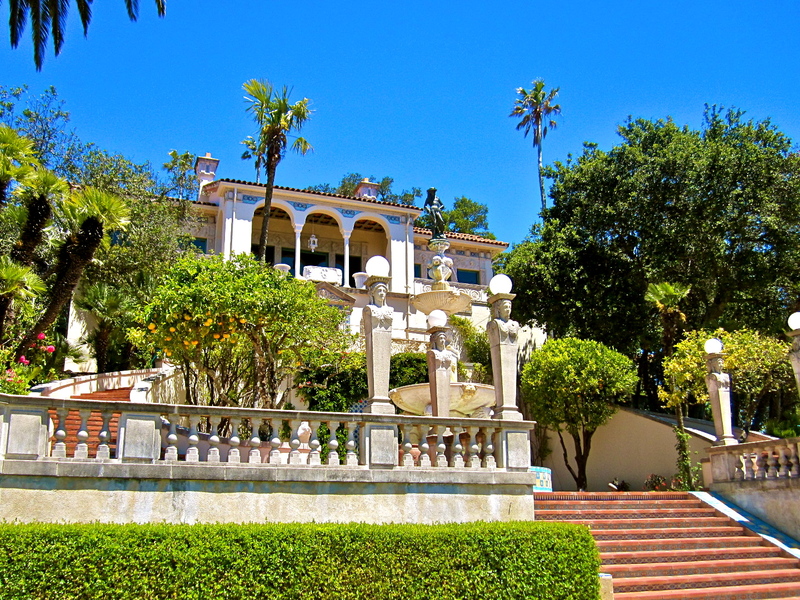 The estate overlooked the coast of California, which was absolutely breathtaking. 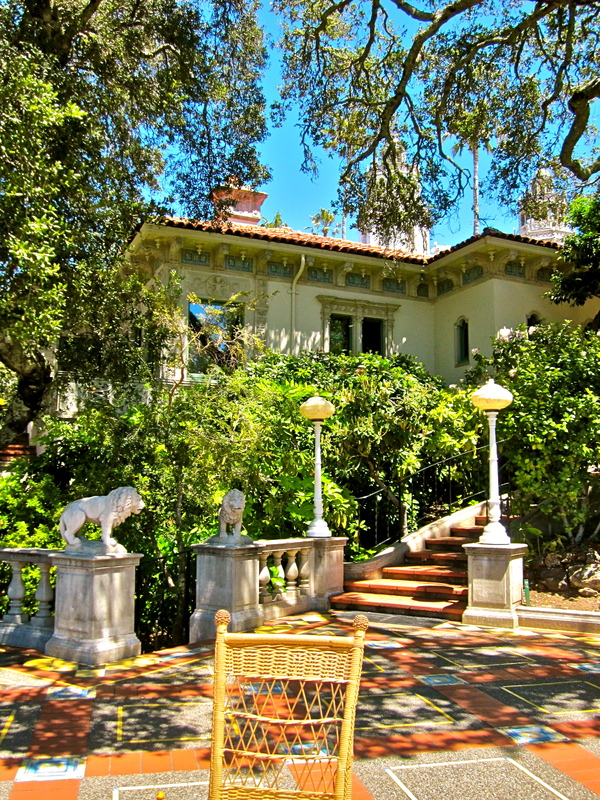 From the facade to the interiors, it definitely did not disappoint; being a media mogul and billionaire, the Hearst residence did not fall short of being tantamount to that of the family’s wealth. 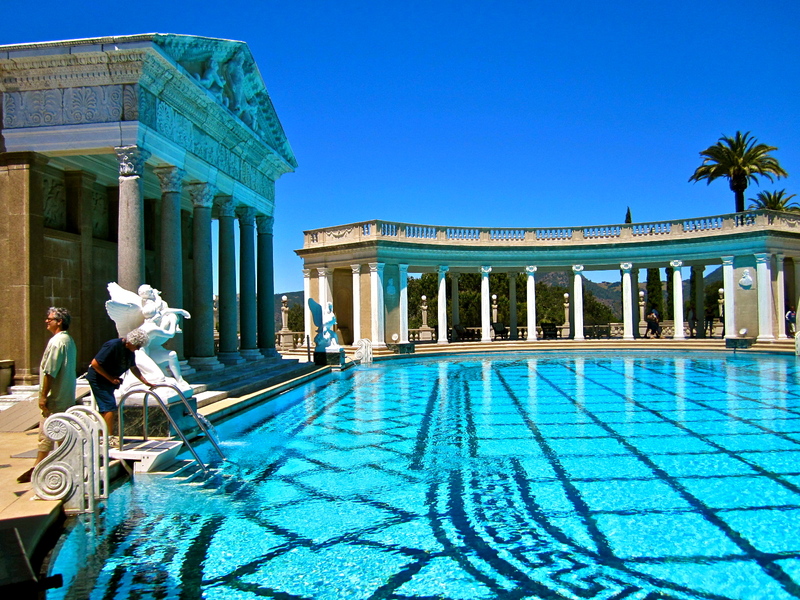 The Neptune pool, the outdoor pool at the Hearst Castle, is surrounded by ancient Roman-style pillars and statues. 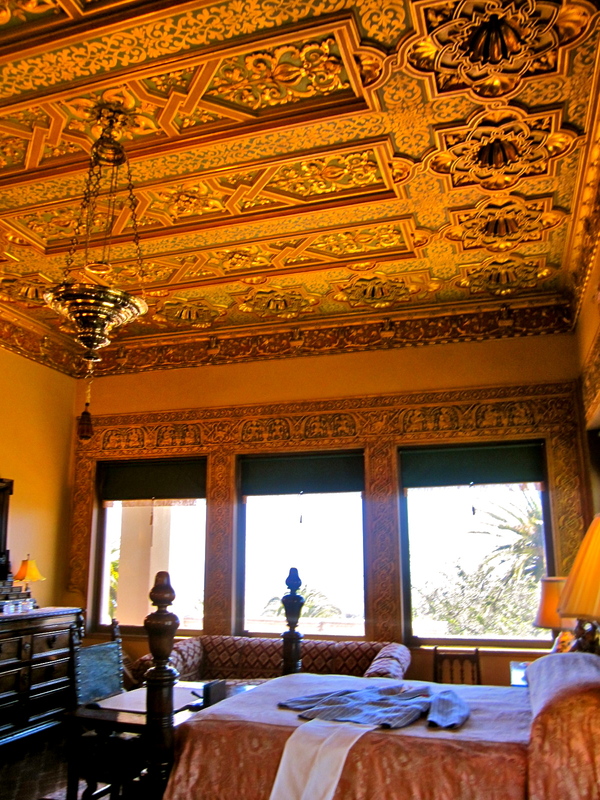 Having been designed and re-designed for more than ten years to suit Hearst’s taste, I believe he must’ve been more than happy to finally see the finished product. 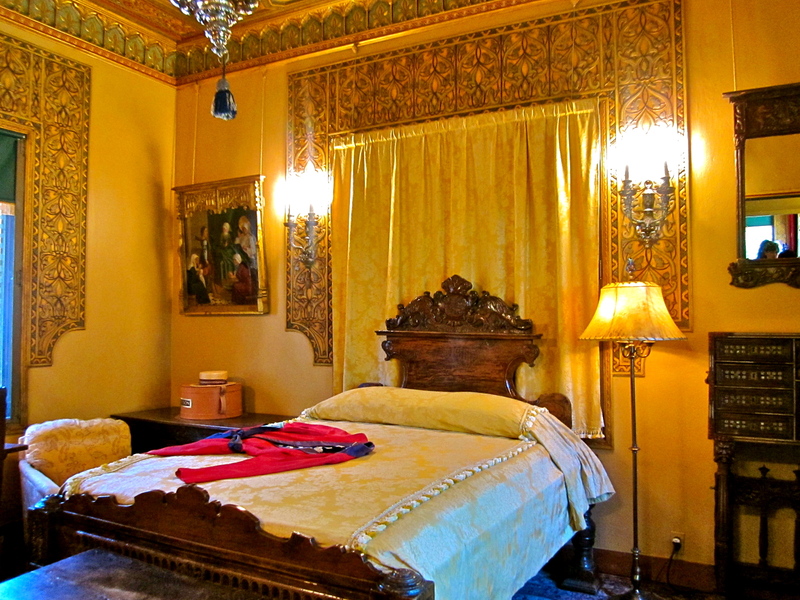 The facade depicts exactly why it was called a castle. 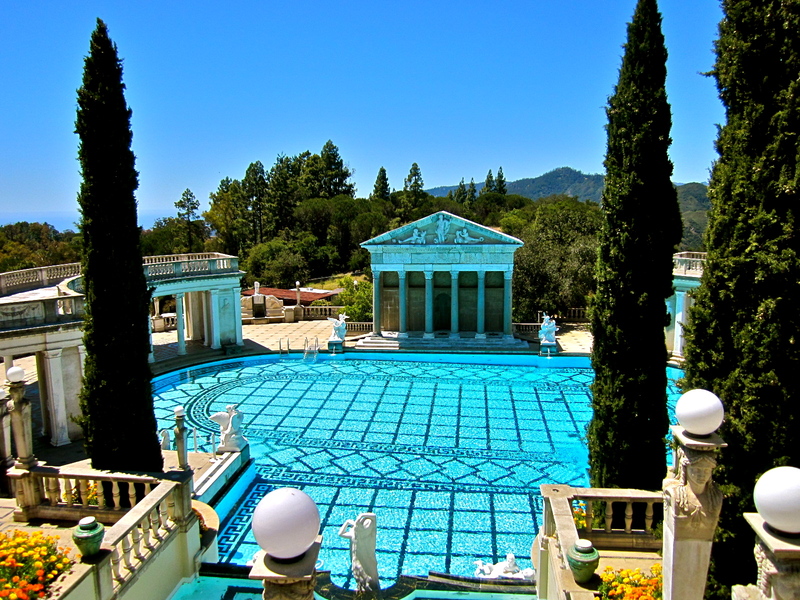 The Roman Pool, Hearst Castle’s indoor pool, was the one that caught my attention when Maybelle was showing me her pictures a few years back and seeing it with my own eyes was definitely a dream come true. 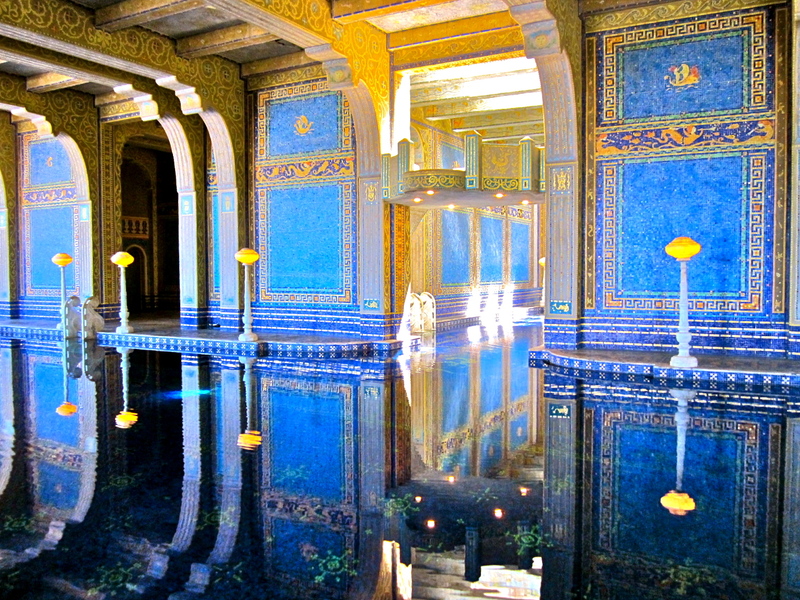 You know you’re definitely rich when the glass tiles in your pool are fused with gold. 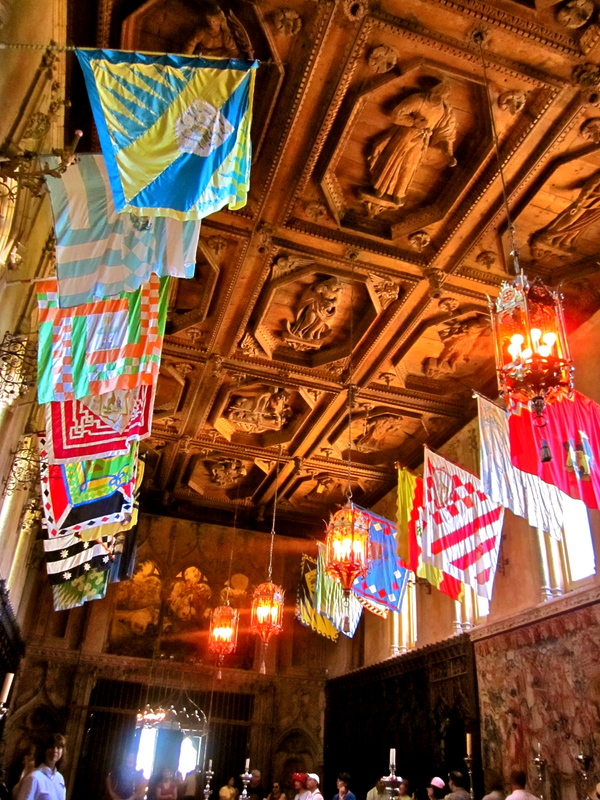 If you’re ever headed to this part of the States, do make sure you make a stop in the incredible Hearst Castle, which will be quite a rather visual feast.